Jaisalmer is popularly known as the The Golden City, situated amidst Thar Desert, close to Pakistan border; over powered by the Jaisalmer Fort (Sonar Quila) the city with glorious past offers an action packed experience to travelers. One thing evident was that the destination is so very popular among foreign tourists, well the place attracts the tourists in myriad ways. Not just the architecture, the whole city oozes different feel tiny gallis, all the houses constructed from golden brick, puppet shows and people singing folk songs at all the unexpected locations, its awesome !!! 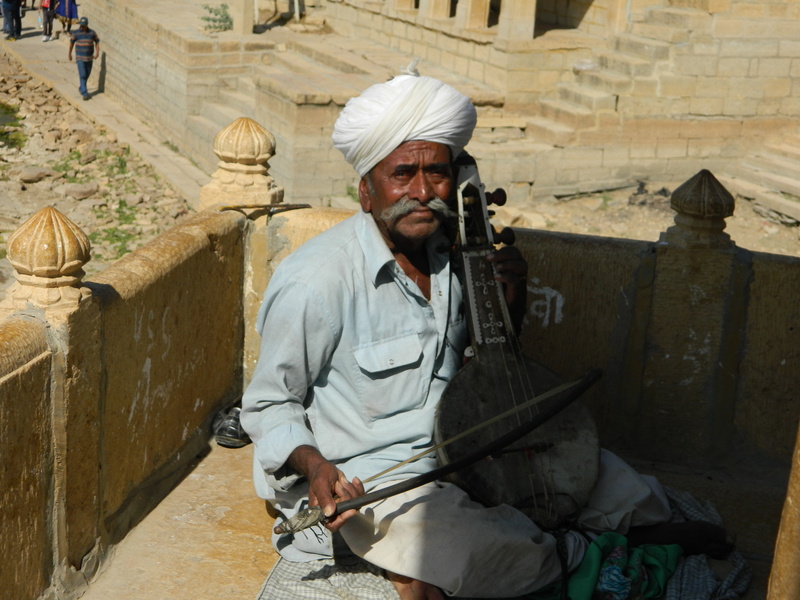 Jaisalmer Fort: The fort is a living fort; it is inhabited by people since generations. There are shops, havelis, restaurants & parlors inside. So it is more like a suburb or a city within a city guarded by walls of the fort. Reminiscing at the sand dunes…..
Sam Sand Dunes & Desert Safari: This is the quintessential factor of your trip. 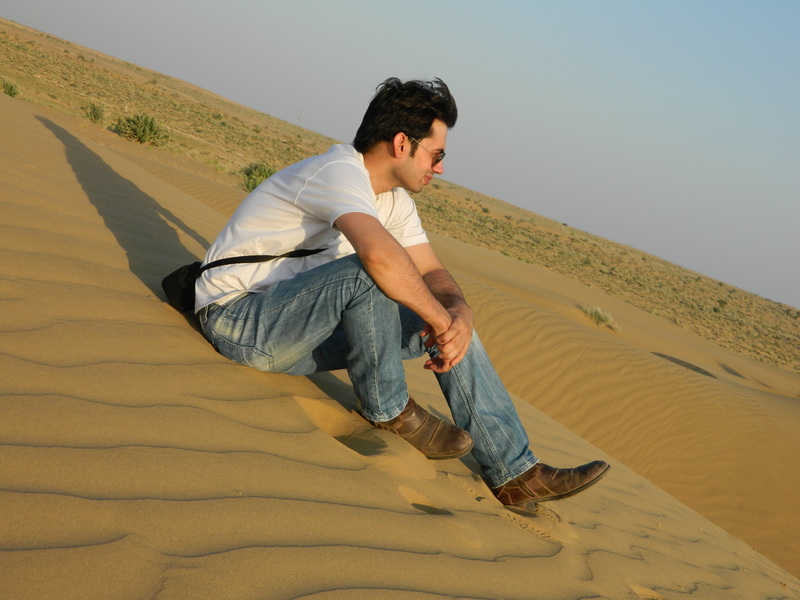 An evening in the lap of Thar Desert, enjoy the gala time & sunset at sand dunes. The Desert Camps offered at Sam Sand Dunes are awesome. There are several camps at Sam offering safari & related leisure services. 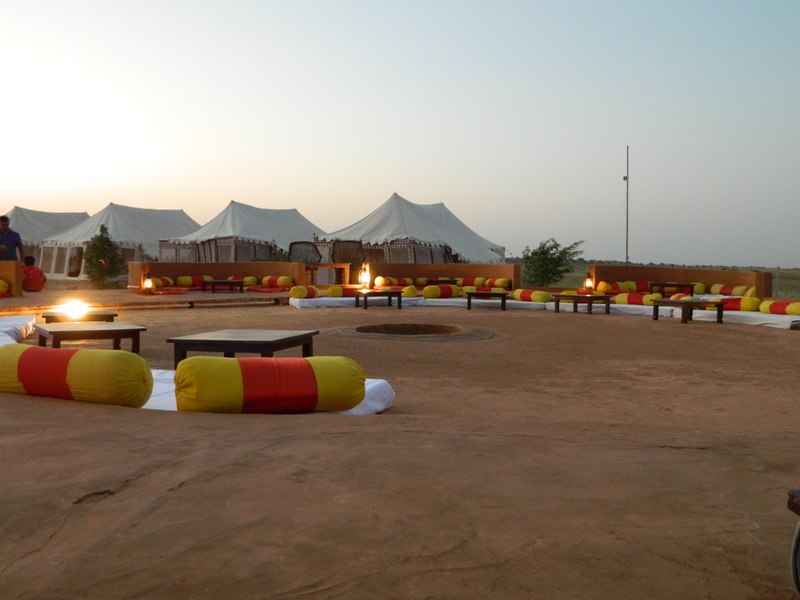 These camps generally offer luxury accommodation, food, camel safaris, and bonfire in the evening with folk music & dance. You can either choose the complete package (stay+ gala dinner +camel safari+ dance) costing around INR 2500 to 4000 per person or you can continue your stay at one of Jaisalmer’s hotel & choose option 2 (gala dinner+ safari+ dance) costing around INR 1000 to 1500 per person. The difference of the amount is primarily on account of accommodation (tent) provided by these camps. The camps additionally provide jeep safari & arrange logistics. Gadsisar Lake: Made by Maharwal Gadsi Singh in 1400 A.D. this lake (actually a water conservation tank) is surrounded by a whole variety of temples and shrines and migratory birds. Patwon-Ki-Haveli: Located in a very narrow lane (you will have to walk to reach the Haveli!!! ), Haveli has a fascinating past, it was constructed by Guman Chand Patwain 1805 for his 5 sons in a series if 5 stories. Today it attracts tourists offering a glimpse at Patwon family’s lifestyle. Ticket cost for Indian tourists is INR 70 & its certainly more for foreign tourists. Kuldhara Village & Khaba Fort: Known as the Ghost village, once inhabited by the Paliwal Brahmins, the village was left deserted for mystifying reasons. The legend says that some 80 families used to stay here more than 200 years ago & the ruins can still be seen!!! The village wears a disturbing silence & feel to it. Well you can reach Jaisalmer by train but the availability of trains is really limited. 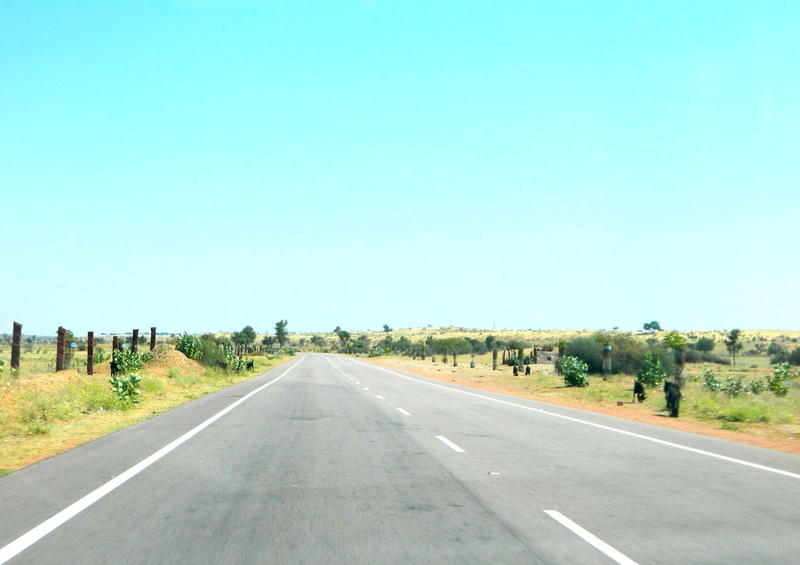 Other option is to do a road trip from Jodhpur (awesome road), you can cover the distance in max 4 hours. So you can actually do a Jodhpur-Jaisalmer-Jodhpur trip. All you see is straight shining road nothing else, spooky !!! The weather is really harsh & exhausting; one gets dehydrated very soon, moreover you one can get skin allergies as well plan your trip during winters to avoid health issues. During winters days are pretty warm & the temperature hovers around 25 – 30 degrees and drops to 7 – 9 degrees in nights. Carry lot of beverages with you to stay hydrated. You shall be able to find a decent hotel to stay with a tariff of between INR 1800 – 2500. If you need any help in planning the trip, feel free to write to us..
We are glad to know that you loved the write-ups, it means a lot 🙂 Rajasthan is truly a beautiful place, I’m sure you miss your home town !!! Your posts are beautiful and they remind me about my trips to these places. Thanks for sharing. 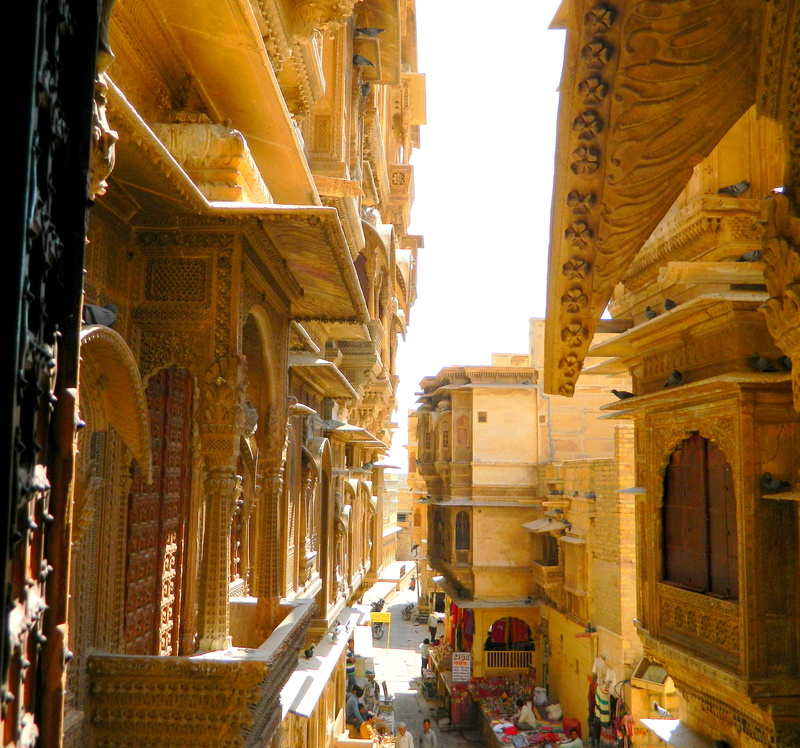 I visited Jaisalmer in December 2013. Your posts rekindled beautiful memories. 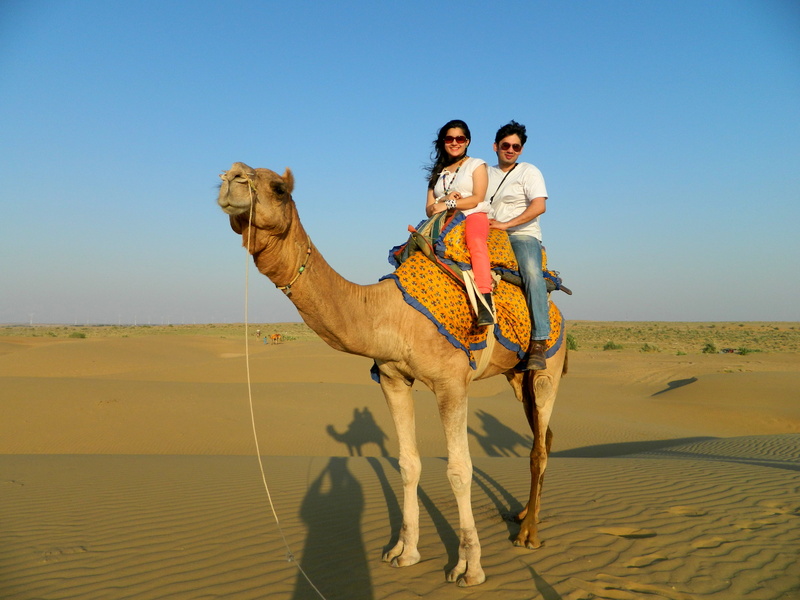 Gadisar lake, camel ride in the desert, watching sunset and enjoying folk dance performance at the resort…Jaisalmer is beautiful! Loved all your photos. This article is one amongst the best, that I have come across in the recent times. Photography is incredible. Thanks to your post, I am now planning to travel to this ‘Golden City’. Looking forward to your upcoming write ups. Thanks again for kind words!! I’m glad that you find this story helpful. You might want to read this as well – https://untraveledroutes.wordpress.com/2015/02/15/the-desert-safari-and-gala-dinner-the-great-indian-desert/. Have an awesome trip, do share feedback.